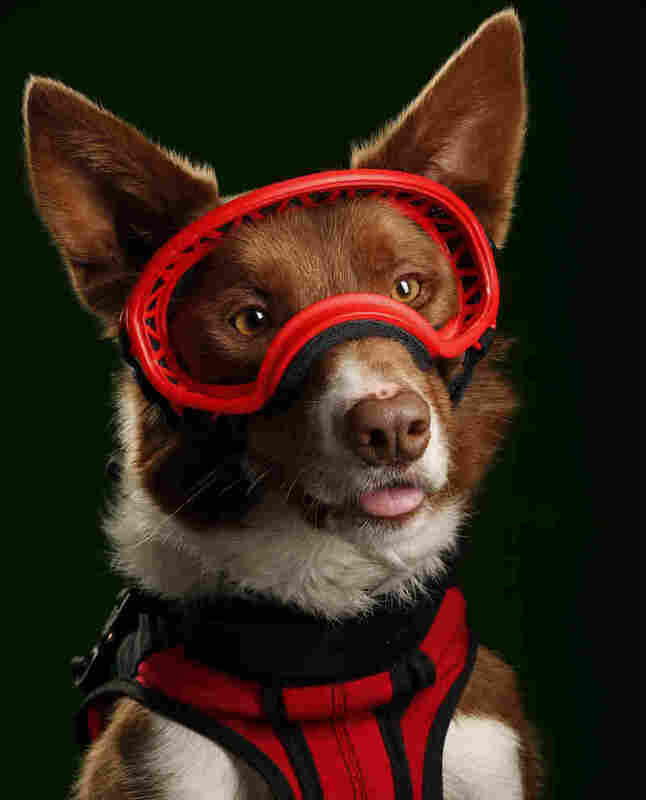 'Superpower Dogs' Shows That Canines Are 'Saving Us Every Day' The IMAX film Superpower Dogs follows six remarkable canines who work in fields such as avalanche and water rescue, endangered species protection, and emotional support. 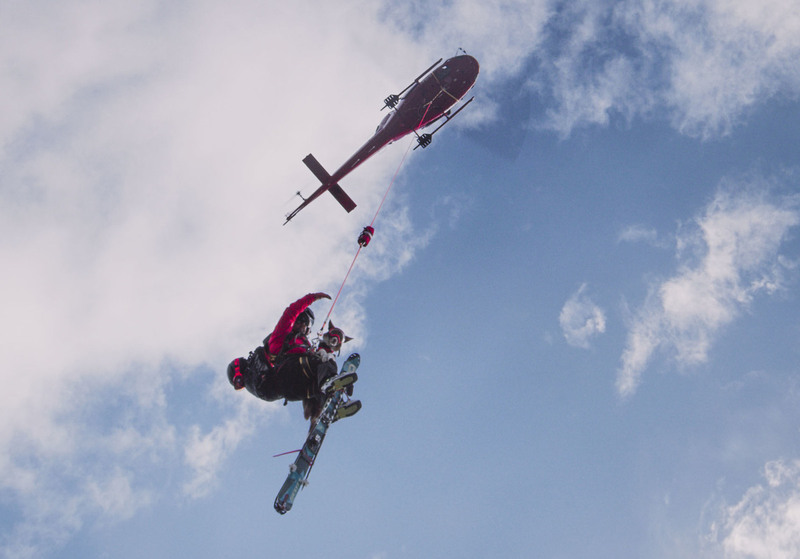 Henry, a border collie with the Canadian Avalanche Rescue Dog Association, flies with his handler over ski slopes in the Canadian Rockies. 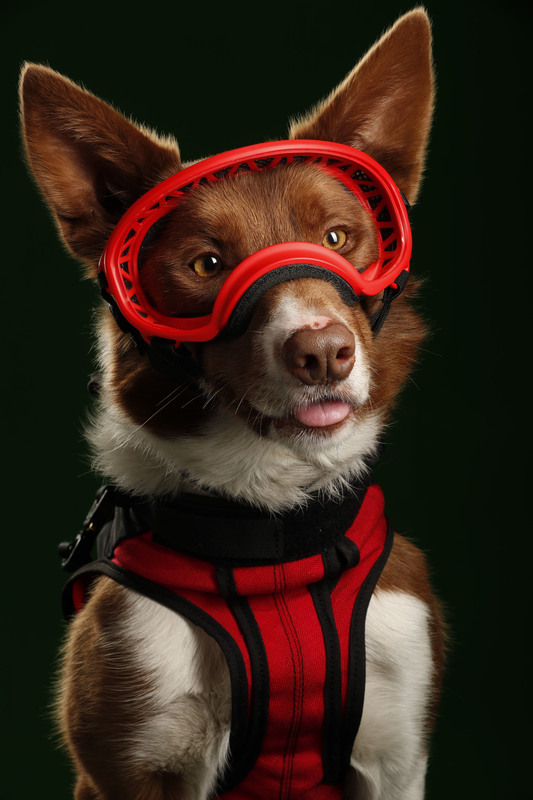 He is one of six dogs profiled in the IMAX film Superpower Dogs. "I think casting makes a movie, and in this case it's no exception," Ferguson says. "The dogs are at the heart of this film." Ferguson tells NPR about how a producer talked him into making a movie about dogs (even though he's more of a cat person) and how he attempted to re-create a dog's visual perspective on an IMAX screen. Henry poses for a portrait for the film Superpower Dogs. "When he puts on those goggles, there's something that completes him," director Daniel Ferguson says. "He's ready to go and do his job. It's a signal to him that he's working." Henry has an incredible nose and his olfactory system is 10, to 100,000 times better than ours. So he can find a glove or a ski pole and he can do it in the fraction of the time that it takes a team of people. ... And he's cute as can be. I was sort of skeptical. ... Dogs are ubiquitous; I mean, they're just all over. And he said: "Let me prove it to you." ... So he took me on this incredible whirlwind tour and we went to the [National Disaster] Search Dog Foundation out in California and we met these urban search and rescue dogs; [we] went to Italy to work with the Italian Coast Guard. And by the end of that trip, I said: "Dom, this is the real deal." I mean, these dogs have powers we can just dream of. Every shot is curated for the giant screen. This is supposed to work in 3D — to be immersive and visceral — and you get to kind of be a dog in this movie. We actually built a camera rig that shows the world in 270 degrees, and we re-created the dog's visual color world of blues and yellows. ... We reproduced the visual acuity of dogs. The most fun for me was actually translating their olfactory world into our visual one. ... Every minute of our lives ... we're shedding millions of scent molecules — we're like these floaty dandruffy things — and if we could see what dogs could smell — that bacteria and the sweat and the deodorants — whatever makes up our scent signatures, how cool could that be? So we got to do that on this huge, eight-story-high canvas in a way that's visceral and immersive. 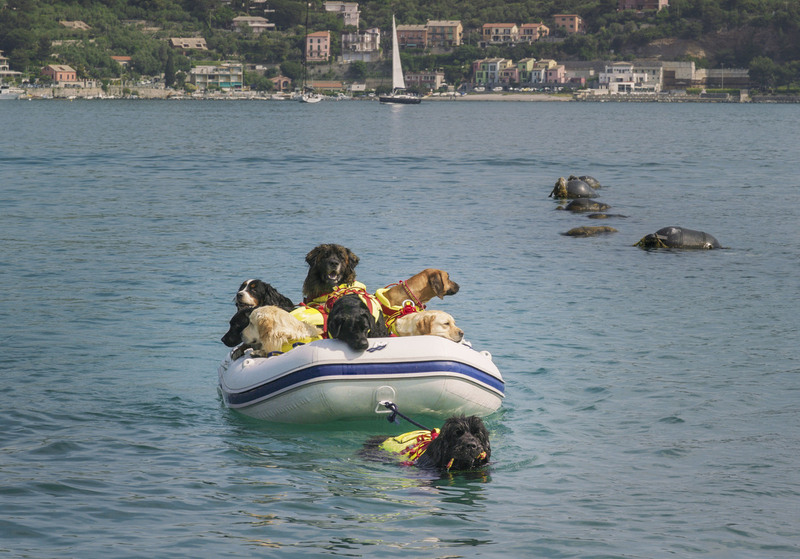 Reef (in the water) is a Newfoundland who works with the Italian Coast Guard. She also works as an instructor, modeling behavior for rescue dogs in training. The main storyline of the movie follows Halo, this Dutch shepherd puppy. We meet her at about nine weeks and ... we follow Halo over three years as she's learning to become an urban search and rescue dog. ... Halo starts the movie as a bit of a hot mess. She's, like, going after sticks and she's running all over the backyard, and I love that — because we could not control this. This is a movie about dogs, it's a documentary — you don't know whether they're going to pass or fail. When you say "search," or when you say "leap," or when you say whatever the magic word is ... that is for real. That dog is saving that person, whether it's a mock victim or not. ... For the dogs, it's the real deal when they're towing someone through the water, or they're following the scent of a poacher, or where they're searching for someone in a rubble pile. It's life and death. We had puppies colliding with cameras and slobbering [on] the cameras all over the place, but we just kind of went with it. ... I'd be filming with Halo and she'd just run off and get a stick, or steal a sausage from the catering table. ... That's the fun of this. 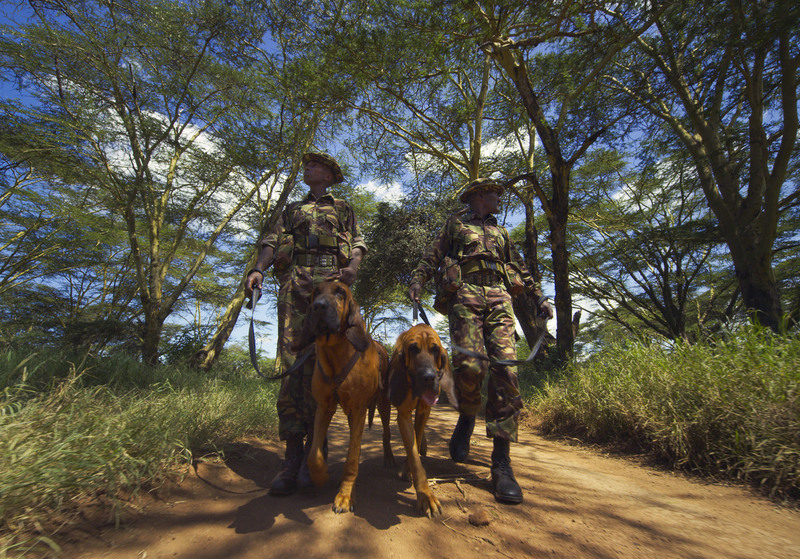 ... Take the bloodhounds [who help search for poachers in Kenya] — we wanted to introduce them as these ultimate heroes, and you know what? They are champion nappers. These dogs, they work hard, but man, they nap hard. Tipper and Tony are bloodhounds who help protect endangered rhinos and elephants at the LEWA Wildlife Conservancy in Kenya. On his belief that "every dog has superpowers"
I think most pet owners could say that our pets make our worlds a better place, and all we've done is we've put this very dramatic spin on it. ... [In the movie] you've got dogs who fight crime and save lives, but dogs are saving us every day. Sam Gringlas and Mallory Yu produced and edited this interview for broadcast. Beth Novey adapted it for the Web.